First impressions are the most lasting impressions. When you meet someone for the first time and are greeted with a warm smile, it creates a sense of comfort. 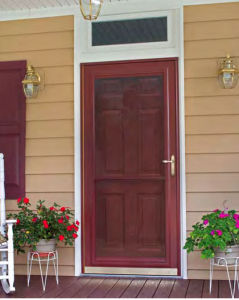 A high-quality front door can be thought of in a similar way — a smile for your home! A high-quality entryway increases your home’s curb appeal and adds value to your property and neighborhood. If you don’t feel that your front door is a representation of your home, it may be time to upgrade in order for your personality to be conveyed from the moment your guests walk up your front steps. Maybe you like the look of bold colors or elaborate custom designs to make your front door stand out. Or perhaps you want to make a bigger change and opt for double entry doors. No matter what design suits you, keep in mind that your home will look best if the entryway complements the architectural style of the rest of the house. There are plenty of unique options available, so take the opportunity to express yourself. 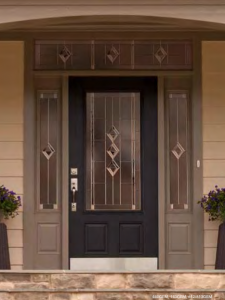 From stained-glass accents, different shapes and sizes, and a rainbow of color options, you will be sure to find a door that is a perfect match for your home with the help of Gerald Jones Company in the Raleigh-Durham area. Most modern doors are made of wood, fiberglass or steel. Like most investments in your home, when you purchase a front door, you must consider the cost upfront and compare it to the cost over time. Make sure you are well aware of the energy efficiency, maintenance requirements, and life expectancy of the door you are selecting. 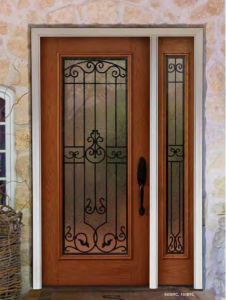 An entry door system from Gerald Jones Company gives you a wide choice of styles to complement your home’s design. Be inspired to create a grand entrance and create the perfect entry door to enhance and reflect the architectural accents on your home. 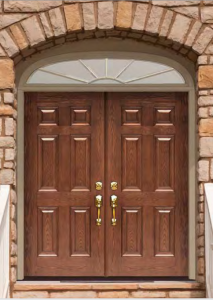 We offer many great ways to give your home the beauty of a carefully crafted entry door. Give us a call at (919) 286-1700 to discuss your home improvement needs and discover an entryway you will love to come home to each day. 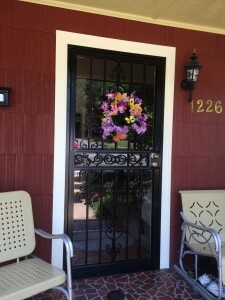 A steel security storm door with decorative iron work. This entry was written by Gerald Jones Company, posted on December 11, 2015 at 5:04 pm, filed under Uncategorized and tagged entry doors, front door, home design, home improvement, home remodel. Bookmark the permalink. Follow any comments here with the RSS feed for this post. Both comments and trackbacks are currently closed.